Recently released by WooCommerce, their app is designed to make managing your online business easier than ever. It offers a variety of features especially designed with your needs in mind – and is already being shown to be a valuable tool for those with WooCommerce sites. Track your store – When you have multiple products available on your site, it is important to track which ones are doing the best so you can tweak your sales, promos and campaigns accordingly. The WooCommerce app lets you see which products are performing best at a specific day, time, week, month or year. Manage orders – Look up specific orders, filter, or scroll through order activity, as well as view order information, such as value, customer data, shipping details, and notes, in addition to basic order fulfillment. Currently, the WooCommerce app does not allow users to add or edit products, or for switching between stores – but this is a good place to start. 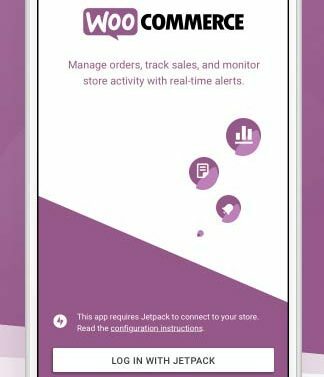 And, as the most popular shopping cart technology (used by 22% of the top one million websites) it is relatively safe to believe that WooCommerce will continue to expand their app’s capabilities to make it even more viable for ecommerce site owners. As website designers, the Page Progressive team works to stay up to date on all aspects of the Web. As we design many WooCommerce based business, we wanted you to be aware of this new app. You can download the app on the WooCommerce site. If you have any questions about your site or concerns regarding the WooCommerce app, please feel free to reach out to a Raleigh, Page Progressive team member.